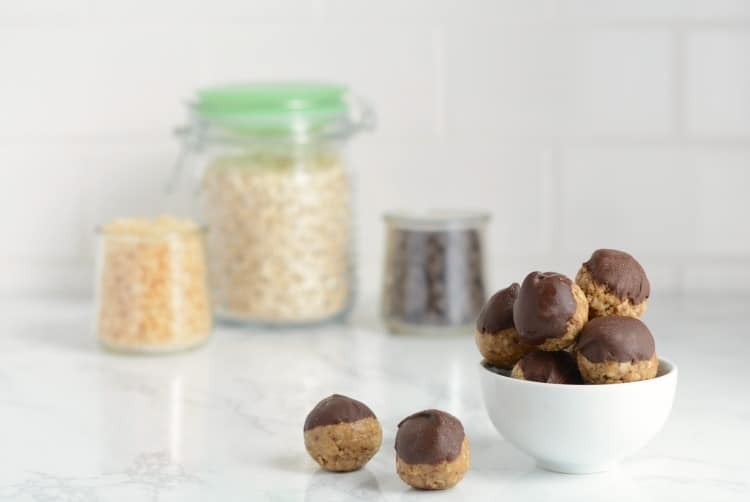 These Nut Free Snack Balls are made with just five wholesome ingredients and make a quick, healthy snack or treat in a lunch box. 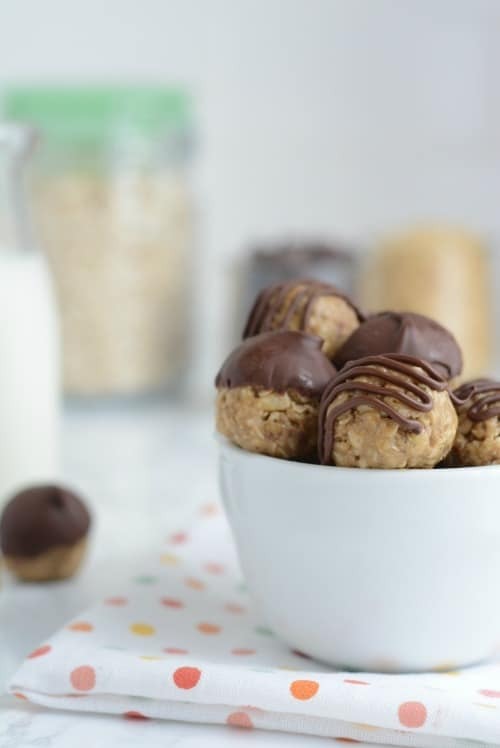 Having a batch of snack balls in the fridge just makes my life easier: Everyone can grab them for snacks, lunch boxes, and even two-bite desserts (one if you’re my husband). Yet so many recipes for snack balls and bites contain nuts or peanuts in some form, either whole nuts or nut butter. 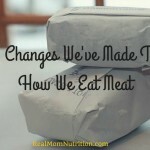 So I wanted to create a nut free snack that was safe for kids who are allergic to nuts or peanuts–or for kids (like my fifth grader) who each lunch with a buddy who is allergic and take a nut-free lunch to school every day. 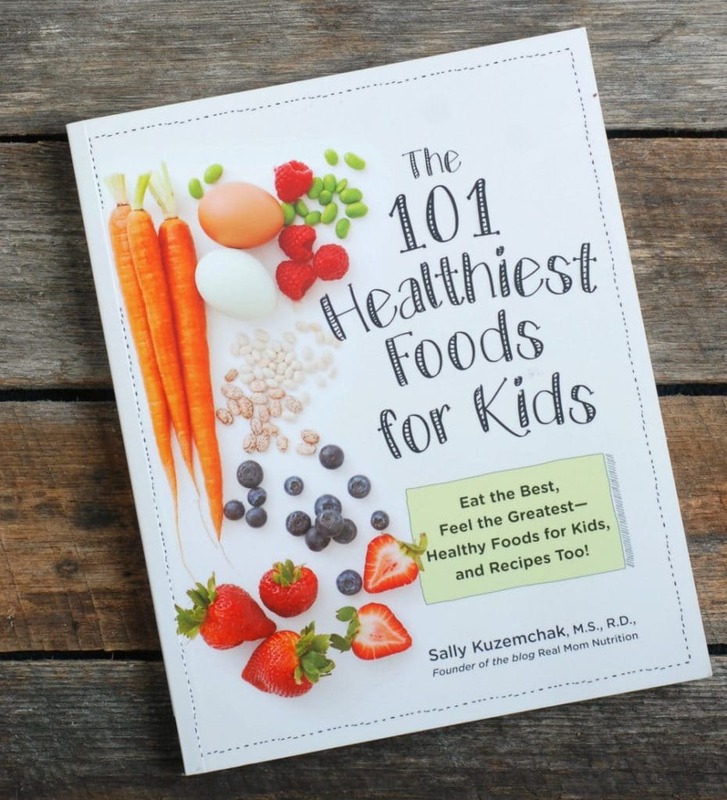 This recipe comes from my brand new book, The 101 Healthiest Foods For Kids, which is a handbook on the best foods to fuel your child’s body and mind, with 26 easy recipes you can make with your kids, and advice for some of your most common kid-feeding questions. 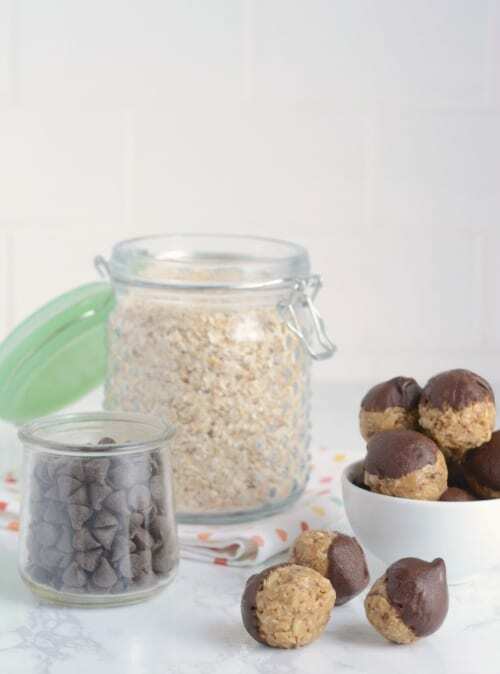 What holds these nut free snack balls together is sunflower seed butter, such as SunButter. I find SunButter in the “natural foods” section of my grocery store. It comes in a few different varieties, but I choose the natural, unsweetened kind. Be sure to check labels on all ingredients to be sure they are nut- and peanut-free. And if allergies aren’t an issue for you, feel free to swap in another kind of seed or nut butter. I’ve made these with natural peanut butter many times. Crisped rice cereal give these a nice crunch. Use brown crisped rice cereal (such as Barbara’s Brown Rice Crisps) if it’s available. The final dip in melted chocolate is totally optional (but highly recommended). 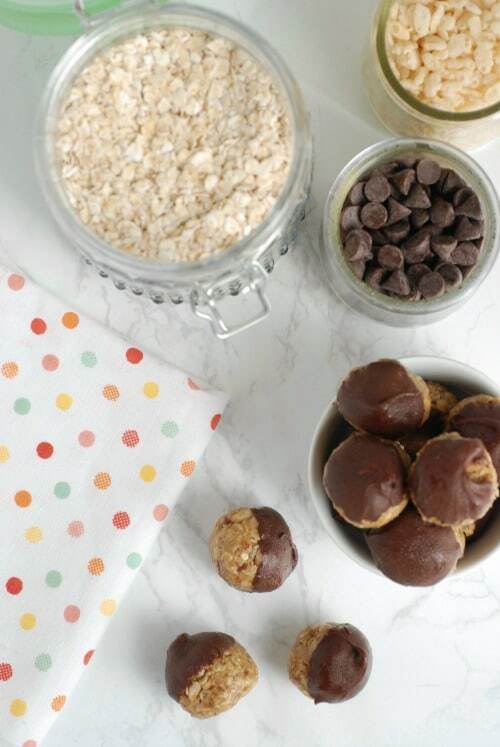 Most snack ball recipes call for nuts or nut butter--and a food processor for blending. This one is not only nut and peanut free but can also be stirred together in a bowl. Remember to check labels on all ingredients if you need to avoid nuts and peanuts (and feel free to substitute peanut or almond butter for the sunflower seed butter if allergies aren't a concern). In a small bowl, combine the oats, sunflower seed butter, rice cereal, honey, and flaxseed and mix until incorporated. Roll tablespoon-size portions into balls. If the mixture is too sticky, add a bit more cereal or oats. If it's too dry, add a bit more sunflower seed butter. 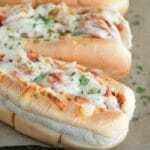 Place on a plate lined with parchment paper and freeze for at least 30 minutes. Store in the freezer or refrigerator. 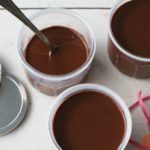 Optional: In the microwave, melt the chocolate chips in a small bowl, heating for 30-second intervals and stirring until melted. Dip one end of each snack ball into the melted chocolate and place on a parchment-lined plate. Place in the freezer until the chocolate sets, then transfer to an airtight container in the refrigerator. We’ll be making these this weekend! Thank you! 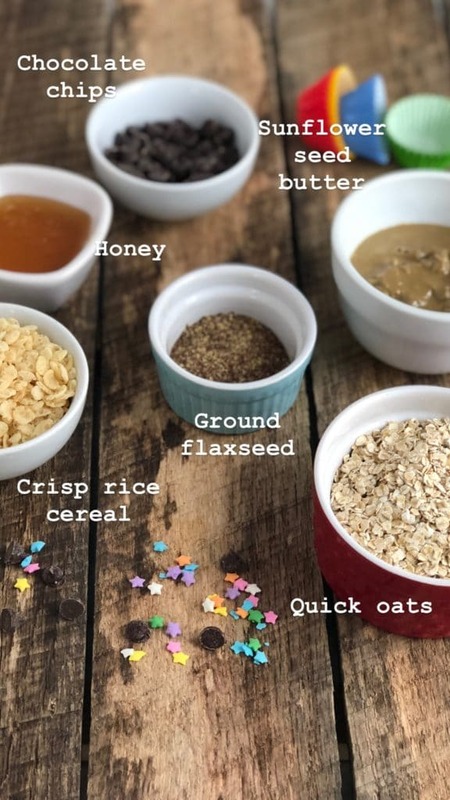 Hi Lisa–The flaxseed is simply to add a little nutritional boost, so you could substitute extra oats or cereal or something else like sunflower seeds (if you’re needing these to be nut- and peanut-free check labels obviously, since may be processed on same equipment).